We have, as a duo and as individual musicians, always tried to do our best to play and promote Danish music whenever possible both in classical and contemporary repertoire, and in chamber music as well as soloists. We believe it is important to present our music internationally and have done so in concerts and numerous recordings, including recordings of all the works for violin and piano by Carl Nielsen and N. W. Gade. Over the years we have played many concerts and tried to make interesting programmes containing all genres of music. Now, though, we feel it is time to record some great works by international composers – works we have had a special relationship with throughout the 15 years we have played together as a duo. The three sonatas were composed almost at the same time – but in three different places in the world at that crucial time between the two World Wars. Ravel’s Sonata was composed in 1923-1927 in Paris, Bloch’s Poème Mystique in 1924 in the United States, and Janácek’s Sonata was written a little earlier in 1914 in Prague but didn’t receive its first performance until 1922. Ravel was our big inspiration to start with. It is a sonata we love to play and the three movements perfectly describe air, earth and fire for us. Through connections in Switzerland our eyes and ears were opened to the music of Ernest Bloch. His musical universe immediately captured us and we have played his music at several concerts; we find that audiences tend to respond with great surprise that they have never heard this music before, but at the same time feel that they know it in their hearts anyway. The Janácek Sonata was conceived during the horrors of World War 1 and his longing for a better world is easily read between the lines. We felt it was a perfect match to the two sonatas of Ravel and Bloch. Three years ago The Danish Radio Symphony Orchestra got a marvellous new concert hall in Copenhagen – beautifully designed by the French architect Jean Nouvel. As we both play in the DR Symphony Orchestra we have the joy of playing in this great new hall regularly and the idea to put the music into visual images emerged quite naturally. We are therefore very happy to be able to present along with this CD a beautiful video specially designed for each sonata which we feel complements each recording perfectly. We hope you will enjoy our presentation of music, sound and images. 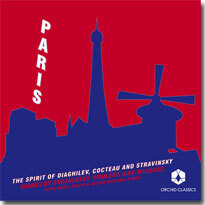 Three very different violin sonatas feature on this disc, reflecting the contrasting characteristics and standings of their respective composers: Ernest Bloch, the melancholy thinker whose Jewish background permeated much of his music (notably his celebrated cello rhapsody Schelomo); Leoš Janácek, the Czech nationalist whose passionate operas have gradually come to hold an admired place in the repertoire; and Ravel, the wide-ranging, fastidious craftsman whose output (though not large) has nevertheless given us a series of works whose beauty of sound has rarely been surpassed. And while the music of Bloch and Janácek has come to hold a moderately firm grip on public sympathy, Ravel is the only one to have achieved true acclaim on the international scene. As can be seen from their dates Bloch and Ravel were contemporaries, but in one important and perhaps unexpected respect, all three share at least some common ground: their Violin Sonatas date from the 1920s. The last to be completed was Ravel’s, which spread itself over four years (1923-27). Having spent more than two decades mainly exploring the picturesque opportunities offered by the full resources of the symphony orchestra, this was the period he turned to in which neo-classicism expressed itself in his Sonata for violin and cello and the other final chamber works. The Violin Sonata’s three movements are as grateful for the player as for the listener, and its shape and form is full of interest. The second movement is composed in ‘blues’ style: hardly strictly, but Ravel, like other composers, used the term to suggest a mood rather than by adhering closely to the form. Other examples of his partiality for the exotic can be found elsewhere in the jazz inflections, while the sounds of the Javanese gamelan to which he became attracted (though not as much as Debussy had been) can be detected in the first movement. The perpetuum mobile conclusion recalls here and there the Toccata movement from his suite of piano pieces Le tombeau de Couperin, first performed in 1919 in Paris. The violin begins alone with an arresting high-lying passage of considerable eloquence: it contains the main theme, from which is derived virtually all the Sonata’s subsequent material: it is destined to return frequently and indeed provides a ‘motto’ theme for the whole work. Once the piano enters the music becomes more animated, but it sinks back to regain the mood of the opening. Several more clearly defined sections follow, beginning with a lively passage whose earthy directness has something of a folk-song inflection about it; this too yields to another calm, this time an uneasy one which is heightened when in the following section the piano gains greater prominence in supporting the violin’s outspoken declarations. The piano begins the longest passage alone but is soon joined by the violin, and together they explore the emotional heart of the Sonata in music of a simple beauty; when the motto theme reappears the pace quickens to achieve the Sonata’s most substantial climax. As the end comes in sight the music (now frequently recalling the motto theme) continues in ecstatic flights; but Bloch has a surprise, opting to embrace increasing pace so as to reach a powerful and definite conclusion. Though it did not receive its first performance until 1922, Janácek’s Sonata had its origins as far back as 1914. In the intervening years its form changed considerably. In 1915 the movement entitled Ballada was published separately and with a different ending, and when the Sonata originally began to take shape what is now the Adagio came second. The Allegretto, too, was much revised, a new middle section giving it the appearance of a scherzo and trio, with the opening section repeated. In its final shape the Sonata is an immediately appealing work which, while having dramatic power and passion in plenty, has little of the harsh lyricism that many listeners detect in the composer’s operas. Except for the Allegretto the movements are virtually monothematic, bringing a taut conciseness to each of the four structures: but those structures are filled with imaginative strokes of colour, abrupt changes of rhythm and the tiny melodic motifs that are so typical of Janácek. The Allegretto is also unusual in that at first the piano projects most of the interest; in the middle section, however, the violin comes into its own. The concluding Adagio opens with a placid chorale for the piano but, at the recapitulation, Janácek reverses the roles of the two instruments in a way that is immensely striking. Christina Åstrand & Per Salo have played together for several years and have a wide repertoire spanning from J. S. Bach to the newest contemporary music. They have careers as soloists and chamber musicians also in combination with other instruments. They both hold contracts with The Danish Radio Symphony Orchestra – Christina Åstrand was only 22 years old when she was appointed Principal Concert Master with the DR Symphony Orchestra. This is the position she still holds. Per holds the positions of pianist, organist and harpsichordist also in the DR Symphony Orchestra. Christina Åstrand is one of the most remarkable violinists in Scandinavia. Having started playing violin at the age of 4, she studied with Professor Tutter Givskov in Denmark and with Professor Gerard Poulet in Paris. She is a frequent soloist with the leading Scandinavian orchestras – always providing a personal interpretation of the music. Christina is extremely versatile in terms of repertoire, ranging from classical concertos to the most contemporary works for violin and orchestra. Several Danish composers have composed and dedicated works to her. She is one of the few violinists in the world who plays György Ligeti’s Violin Concerto. Christina Åstrand plays on a Stradivarius, 1705. Per Salo studied piano and organ in Denmark, Italy and USA. Salo graduated with an Organ Diploma from the Royal Danish Conservatory of Music in 1985 and with a Masters Degree in Piano Performance from Juilliard School of Music, New York in 1989. Per Salo is very active both as a soloist and as a chamber musician. His repertoire includes many Danish and contemporary works and many Danish composers have written music for him. In 1996 Per Nørgaard dedicated his piano concerto Concerto in due Tempi to Per Salo. His concert activities have taken him to all of the Scandinavian countries, most of Europe, Korea and the USA. Recently Per appeared as soloist in Olivier Messiaen’s Turangalîla Symphony at concerts in Germany and Denmark. Danish music is a big part of both musicians’ repertoire. Their aim is to further the knowledge of Danish music outside Danish borders, by their choice of repertoire and with their many CD recordings. For the English record label Chandos they have each recorded a CD featuring the violin and piano concertos by the Danish composer Per Nørgaard with the Radio Symphony Orchestra and Thomas Dausgård, one of which won the Diapason D’Or 2001. 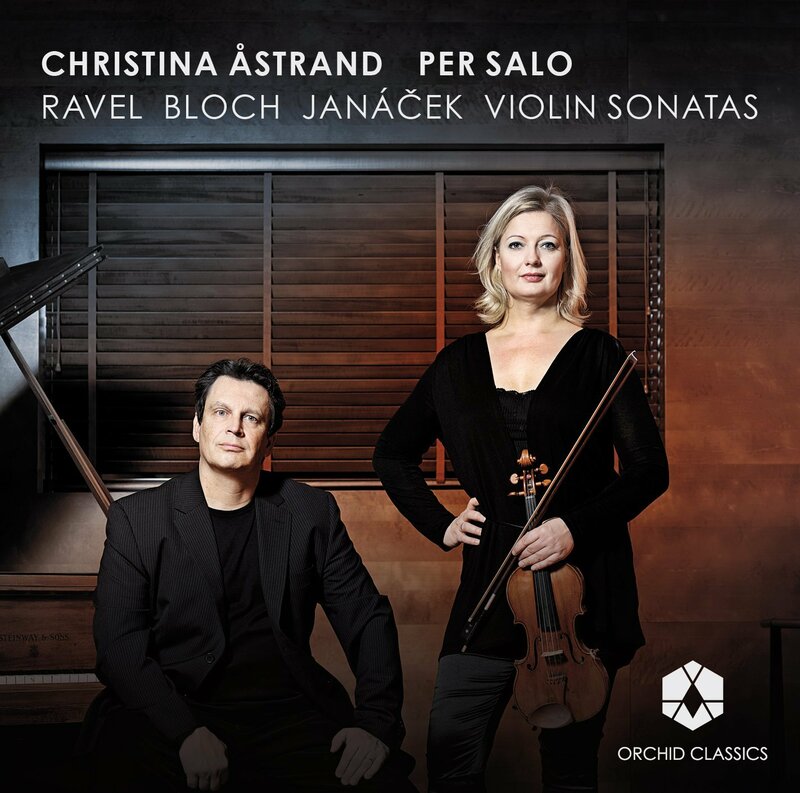 They both appear as soloists on a CD containing the violin and piano concertos of the Danish composer J. P. E. Hartmann, and in 2009 Christina Åstrand released a CD containing violin concertos by the Danish composers N. W. Gade, Lange-Müller and Rued Langgaard. In 2007 the duo released a CD of the violin music of Carl Nielsen. The CD won two prizes at Danish Music Awards in the same year: Chamber Music Release of the Year and P2 Prize – the special prize of the Danish listeners. In 2009 a CD was released containing the three violin sonatas of the Danish romantic composer N. W. Gade.